Surveyor General, Being the responsible authority for the Land Information System (LIS) of the country, mandated by the Survey Act No. 17 of 2002, expresses the pleasure of launching the Land Information System through the worldwide web as a dynamic product of the Survey Department; the National Institution, which leads in all the developing projects in Sri Lanka. Production and Dissemination of parcel based land information as a dynamic system through the Internet open avenues towards drastic changes in Location Based Trends (LBT) for new thinking among the generations in use of Geo-spatial Data. 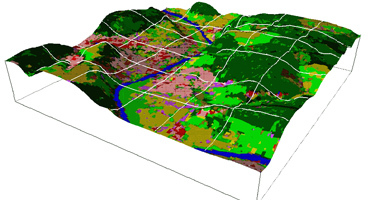 LIS is a 'Tool for legal, administrative and economic decision making support and an aid for planning and development, which consists of a database containing spatially referenced land related data for a defined area and procedures and techniques for the systematic collection, updating, processing and distribution'. The LIS has been sourced with the field surveyed data under the Land Title Registration Project, currently being proceeds as “Bimsaviya”. The Digital Geo-spatial data collected for preparation of Cadastral Maps have been processed to create a parcel based LIS and attributed with Tenement Information, collected for the requirements for issue of land titles.